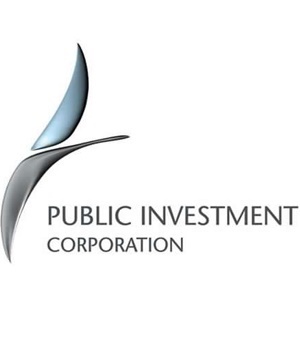 The Public Investment Corporation’s (PIC) acting CEO Matshepo More has been placed on precautionary suspension, following allegations that she was interfering in processes related to the commission of inquiry into the asset manager. "The Board deliberated on the matter and concluded that to ensure free participation of staff in the Commission of Inquiry process, [it should] place Ms Matshepo More on precautionary suspension with immediate effect," the PIC said in a statement on Tuesday. Vuyani Hako, the Executive Head of Properties, will replace More as acting CEO. More was appointed to head up Africa’s largest asset manager in November after the board removed Dan Matjila. More was implicated in an email by an anonymous whistleblower under the name of James Noko. Noko made a number of damning allegations relating to deals implicating the board chairperson and deputy minister of finance Mondli Gungubele. Nine out of the ten members of the PIC board resigned in February, excluding More. Gungubele said there was a concerted effort to discredit the board and they could not do their work credibly. The resignation letter said the board members would remain in place until Finance Minister Tito Mboweni appoints a new board. City Press reported in February that Gungubele said the next board would decide on More’s future. More is a chartered accountant and was the PIC’s chief financial officer until she took over as acting CEO in November. Hako, according to his LinkedIn profile, has been head of unlisted property investments at the PIC since October 2014, and was previously executive director of the Eris Property Group. The commission of inquiry into irregularities at the PIC has heard damning testimony from PIC employees about investment decisions. Some of the companies that have been named include AYO Technology Solutions, linked to businessman Iqbal Surve, and a deal with S&S Refineries which was originated by former finance minister Nhlanhla Nene's son Siyabonga. The Mpati commission revealed in February that several witnesses had received death threats. The PIC manages around R2trn, mostly on behalf of government employees, and has been accused of taking increasingly risky investment decisions in recent years.